The best cost effective bulk email newsletter software and email marketing software for mailing list building, bulk email marketing. Create and bulk send effective opt-in email newsletter campaigns in minutes! Free trial! 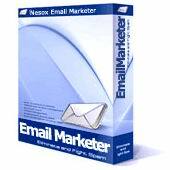 Nesox Email Marketer is a professional bulk email software and bulk email marketing software for creating and sending bulk email or marketing newsletters to opt-in mailing lists. It offers email campaign tracking reports with mass email sending results, open, read and click rates, list growth etc. More than a bulk email software or bulk email sender, Email Marketer covers every aspect of your bulk email marketing and email newsletter marketing needs. 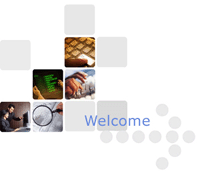 Email Marketer helps you create successful opt-in newsletters and email marketing campaigns. It is easy to build and manage your own opt-in mailing lists for newsletter subscribers, create and send bulk email newsletter campaigns with personalized HTML newsletters, e-magazines, e-zines, account statements, reports, statistics and bills to your customers in just minutes. With email tracking service, you can also receive email tracking reports with real-time opening and click-through rates that help you measure ROI and refine your business strategy. At present, besides sending newsletters and bulk emails, Email Marketer software is being widely used in domains involved with direct email marketing, bulk email marketing, online marketing research, bulk email newsletter sending, email newsletter promotion, mass email newsletter advertising, customer relationship management and collaborative working etc. Email Marketer has elicited great enthusiasm and customer appreciation from users all over the world. Bulk check web link popularity and traffic rank for your websites and your competitors in minutes! Free Trial! 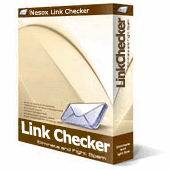 Nesox Link Checker is a professional website validation tool for webmasters. It could help you load and extract all of the hyper links from a website, a local or online page. Besides verifying and validating for broken links, it also checks the link popularity (Google Page Rank) for unlimited links and the (Alexa) traffic rank for unlimited websites. It combines powerful features and an easy-to-use interface and is robust enough to deal with unlimited links.